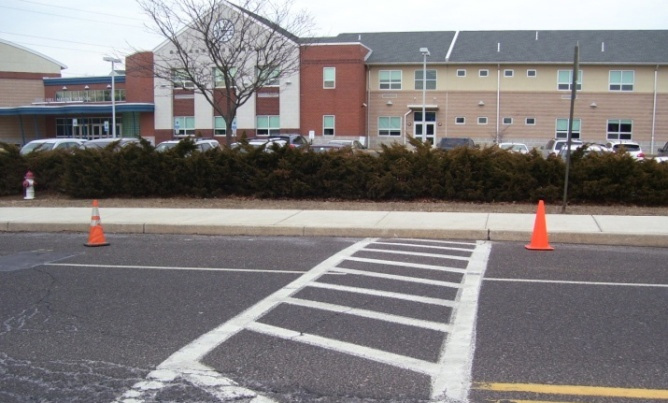 Borough of Pine Hill, Camden County, NJ – CES completed surveying, design, and bid documents for a one-mile portion of Turnersville Road (CR 688) in the Borough of Pine Hill. The distressed roadway surface was in poor condition, and some portions of the roadway flooded during high rain events due to inconsistent profile slopes, a lack of collection points, and undersized existing storm water pipes. Pedestrian facilities were also of concern due to the high density residential development in the area, as well as a middle school and high school within the project limits. The project included pavement reconstruction, milling and overlay, concrete curb, sidewalk, striping, and extensive storm sewer upgrades. 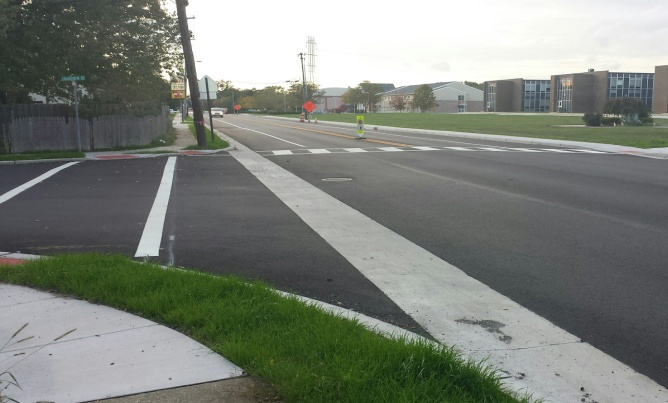 The design plans also included specific constructions details for 30 curb ramps, including dimensions, slopes, and detectable warning surfaces, to ensure compliance with ADA/PROWAG requirements.